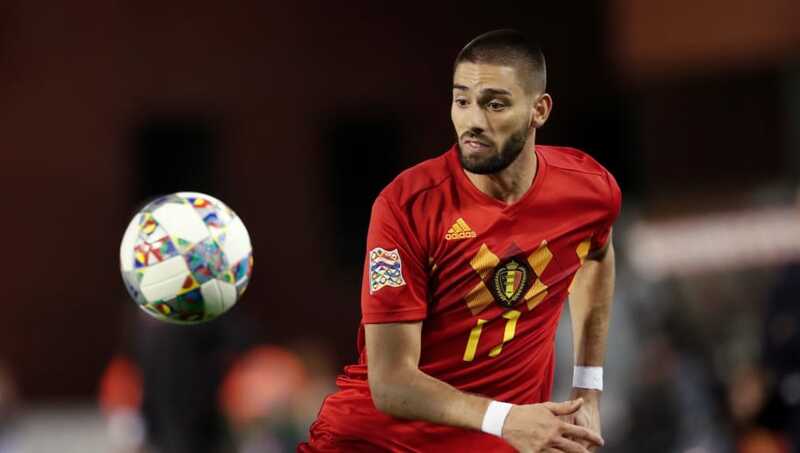 Yannick Carrasco's agent has revealed the player's current club took him off the market before the transfer deadline, scuppering Arsenal and Milan's chances of signing the Belgian. The Gunners fans already saw a move for Paris Saint-Germain midfielder Christopher Nkunku break down on Thursday afternoon, hours before the closure of the window, and an attempt to bring in Ivan Perišić (also on loan) from Inter also failed. Speaking to Sky Sport Italia, via Football Italia, the Carrasco's agent said before the deadline: “It’s very unlikely he’ll move, as Dalian Yifang (his club) have formally taken him off the market." The good news for Arsenal is that they have at least secured the signing of Denis Suárez from Barcelona, who have loaned the player on a temporary contract until the summer. The deal is complex, and allows the Gunners to pay a £2m reserve for the player at any time during his spell at the club, before negotiating a fee to make the deal permanent in the summer.